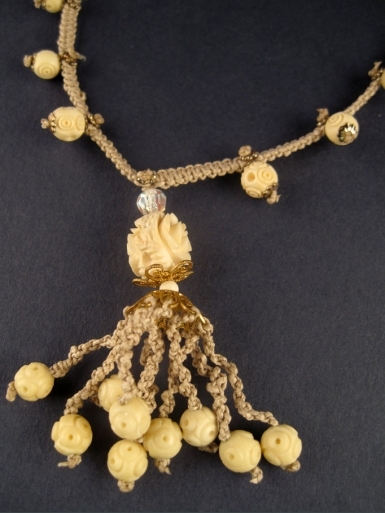 Handwoven linen tassle necklace incorporating vintage intricately carved bone beads, and finished off with button and loop fastening. Comes in beautiful embossed faux-fur lined presentation box. FREE POSTAGE ON THIS ITEM !